One of the highlights of having a no annual fee card is that you can keep it without its value diminishing from expensive fees years on end. Aged accounts are helpful for building the length of your credit history and building a relationship with the bank of the card. Not to mention the bonuses/returns on all of these cards are probably worth paying an annual fee for. Below are my top five choices of credit cards (plus an honorable mention) that do not charge annual fees. Those are nice perks, but they’re not what makes the Chase Freedom card interesting to me– you can get a better cash back rate on many other cards. What’s interesting is that the card actually earns Ultimate Rewards that can be redeemed for cash back instead of straight cash back. The catch is that in order to transfer the Ultimate Rewards to one of the six major airline or four hotel loyalty programs you’re accustomed transferring your Ultimate Rewards to, you have to first move your Ultimate Rewards from your Chase Freedom account to either your Chase Sapphire Preferred, Chase Sapphire Reserve, or Chase Ink Plus/Ink Business Preferred account. You can do it all online within your Chase account. 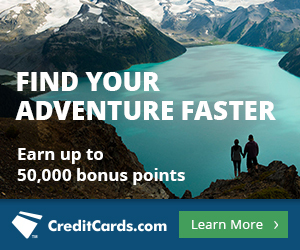 So, if you have either a Sapphire Preferred, Sapphire Reserve, or Ink Business Preferred (or an Ink Plus if you previously opened one of those when it existed) you can convert Ultimate Rewards earned via your Freedom to valuable airline miles, and redeem those on premium cabin flights that cost thousands of dollars out of pocket. But if you don’t have one of those Chase cards, you can only redeem the Ultimate Rewards earned by the Freedom for one cent each, which wouldn’t make much of a dent in the price of those premium cabin flights. For that reason I wouldn’t rank this card quite so high on the list if you don’t already have the Sapphire Preferred, Reserve, Ink Business Preferred or Ink Plus. For a limited time, the Citi® Hilton HHonors™ Visa Signature® Card earns 75,000 bonus points after making $2,000 in purchases within the first 3 months of account opening. Hilton points can be redeemed for free nights at any Hilton hotel when a standard room is available for sale with no blackouts. Rooms start at 5,000 points per night, and the fifth night is free on award stays because of the Silver status granted by the card. With 75,000 HHonors Bonus points, you can get 20 free hotel nights in Category 1 Hiltons, worth over $3,600, 10 free hotel nights in Category 2 Hiltons worth over $2,000, or five free hotel nights in Category 3 Hiltons worth over $1,500. That’s a ton of free travel just for the sign-up bonus. Miles earned on the Discover it Miles Card are worth a penny each toward any flight with no blackouts or toward a deposit in your bank account, so for the first year the card basically offers 3% cash back on all purchases. That is one of the best returns on your purchases of any card on the market, at least in the short run. Credit to your account for travel purchases-starting at 1 mile. Electronic deposit into an account you designate-starting at 1 mile. These miles can be redeemed for 1 cent each against any travel purchase. Redemptions must be on purchases of $25 or more. I would wager that most readers of this blog spend enough of their budget on things defined as travel by Barclaycard to equate the cash back on travel purchases to cash back on any purchase. It only earns two miles per dollar spent on travel and dining expenses though, while the prior two earn 2%+ on all spending. BUT, and this a big BUT, considering it’s a Mastercard which is more widely accepted than Discover, and there are no foreign transaction fees, I would say the Barclay Arrival World Mastercard is an even better option than the Discover it Miles or the Citi® Double Cash Card IF you travel internationally as much as I do. The Citi® Double Cash Card with 1% back on purchases and another 1% back as you pay is perfect for people who can’t get 2 cents of value from their airline miles. 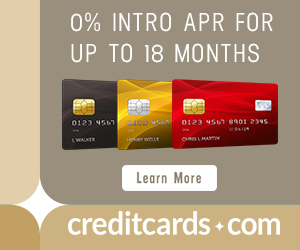 3% Foreign transaction fees – this card is not for you if you travel often! In the short term, the Discover it Miles card earns a better rate of cash back (3% versus 2%), which is why I have it ranked above the Citi® Double Cash Card. You could be considering holding the card for a longer period time though as it is healthy for your credit score and costs you nothing in annual fees. If that’s the case, then consider the average rate of return by the fourth year. The Citi® Double Cash Card would earn a better average rate of return at 2%, versus the Discover it Miles card which would earn 1.875%. How do you figure that? The average rate of return you would earn from your Discover it Miles card would continue to diminish until it evened out to 1.5%. So, if you’re considering the long run (4+ years), the Citi® Double Cash Card is the better value play. The Costco Anywhere Visa® Card by Citi can earn you up to 4% cash back, but only if you are a registered Costco member. While you can earn cash back at really great rates year round with this card if you shop at Costco, if you don’t then it isn’t really worth much. Read my review of the Costco Anywhere Visa® Card by Citi to learn more. I rank the Chase Freedom card and the Citi® Hilton HHonors™ Visa Signature® Card ahead of the other cash back cards because of the high value hotel and airline awards they provide access to. The Citi® Double Cash Card and Discover it Miles card are nearly equivalent in my eyes, it just depends on how long you plan on keeping the accounts open as to how much each would garner you in cash back over the years. The Barclay Arrival World Mastercard is right there too. And if you are a Costco member and value cash back, then the Costco Anywhere Visa® Card by Citi could be perfect for you, but otherwise I wouldn’t consider it. Barclaycard Arrival™ World MasterCard® redemption must be on purchases of $100 or more. Your statement of $25 or more is not correct. Well this stinks. I applied for the Chase Sapphire Preferred and got declined. Called the reconsideration number and he said I was declined for having too many credit cards issued to me over the last 1-1/2 years. I got both Citi Cards this year, both SPG cards, the Hilton card, and only have 3 cards with Chase. Got a couple AA cards and IHG last year. Both Fico’s are above 800. All balances are zero. What is the deal with Chase. Do a search for the “Chase 5/24 rule” and you’ll see why you were declined. I have 4 new cards in the last year so it appears I AM DOWN TO ONE MORE WITH CHASE. Have SWA (2), Sapphire, SPG, Amex Hilton, Discover. Thinking of Marriott, Hilton Surpass, IHG, or United. Whats your recommendation? Depends on your travel goals, but probably United card. Does the 5/24 rule mean you will denied if you had 5 or more in the past 2 years, or more than 5 in the past 2 years? I’m in the same boat, 4 new cards in the past 2 years, so I’m wondering if I can only get one more chase card, or two. I want the ink plus and the freedom unlimited. The 5/24 rule is that Chase will deny you if you have opened five or more credit card accounts in the last 24 months, not six or more. Why in the world is the Citi Hilton card on here? If you really want to go with a Hilton card, go for the no AF Amex version. It at least earns 5X at grocery, restaurants and gas. And 3X everywhere else. I’ll give you that it has a lower sign-up bonus, but that has been larger in the past. And you talk about the fact that you can keep this card long term, so presumably the bonus isn’t the main point here. Also, a 2% card is definitely better than earning 3X at grocery/restaurants/gas etc. I know you mentioned the DoubleCash. But how about the Fidelity Visa? You’re not really helping people by having the Citi Hilton card on this list, especially as the #1 card. I put the Citi Hilton card on the list because the sign up bonus can be worth nearly 20 free hotel nights. Bonus can definitely be a big part of the point, especially when it’s worth so much. The Fidelity Visa is also a good option for a cash back no annual fee card. Hi Scott, I can’t find the link for the Citi Hilton HHonors card. Where can I find the link? I also went to Citicards.com, and the signup is only 40k. Is the bonus still 75k? Why do all the bloggers ignore the bofa visa travel card? Earns 1.5 to well over2 percent. BofA has nice cash bonus merchants every month. It is a solid no gimmick no fee card. To get over 2%, you have to have over $50k in a BofA account. Hey Shadrach, if the BofA Visa Travel card is a chip and pin with no annual fee, then will get this card. Thanks!